Box letter ptt reformed year 2000. Opening front and rear (very rare) without lock. To come to recover or I move var. 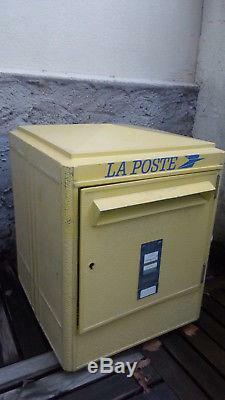 The item "old mailbox reformed post dejoie & cie nantes 2000" is on sale since Monday, November 12, 2018. It is in the category "art, antiques \ objects of the twentieth, recent". The seller is "sport5128" and is located at / in la seyne sur mer. This item can be shipped to the following country: france.